Laptops are insanely popular out there with hundreds of millions of units shipped every year. Big names in the industry like Dell, HP, or Apple are contesting for the market ground out there. Apple has its own ground thanks to its premium MacBook lineup of laptops. However, Apple MacBook is falling behind Windows-based laptops, which gives Apple a driving reason to improve its laptops. Laptops are getting thinner and more beautiful, making them perfect companions on the go. However, there is a barrage of laptops released to the market every year. If you are now in the market for a laptop that fits your needs, then we are here to help you out. In the section below, we have the two best laptops you can buy right now on the market, so you can decide which one is right for you. Dell is one of the biggest names in the industry. The American firm has its own premium lineup of laptops called XPS which made its debut a long time ago. The XPS series is among the best high-end laptops you can buy right now on the market thanks to its stunning design and innovative features. However, XPS-branded laptops are not cheap as it may cost a fortune, but they offer great value for money. In this guide, we are introducing the XPS 13, one of the most desired laptops on the market. It looks simply charming and attractive at first glance with a metallic body and a new Alpine White finish. The XPS 13 feels sturdy on hands despite sporting smaller bezels. The laptop features a stunning screen with an optional 4K Ultra HD resolution, offering better picture quality and sharp details. Under the hood, the XPS 13 uses Intel’s 8th gen Coffee Lake chips that brings a much-improved performance over the 2017 model and Apple MacBook Pro (2017). Basically, the XPS 13 can handle every task you throw at it ranging from editing photos to rendering images. The coolest part is that the laptop never grows too hot during heavy sessions, thanks to its new cooling system. When it comes to battery life, the XPS 13 can last up to 10 hours on a single charge, which is pretty impressive. However, the model we tested features a Full HD display only, so it remains unknown how much power we get on a 4K model. Besides, the keyboard gets a small improvement, making typing much easier and faster. 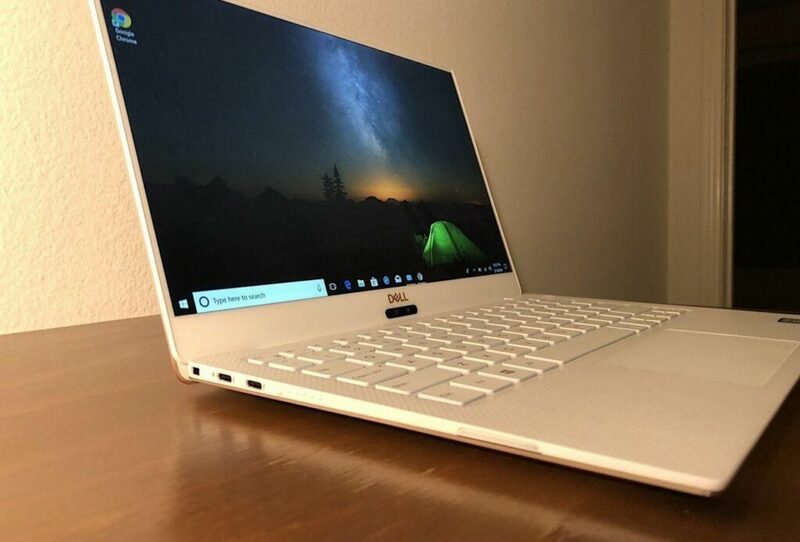 However, the XPS 13 is not cheap out there as it starts at $999 for the model with Intel Core i5-8250U, 4GB of RAM and 128GB of SSD storage. Meanwhile, the maxed-out model sets you back $2,349. That’s the same price tag as the current MacBook Pro. Apple MacBook Pro is one of the most powerful laptops on the market. This year, Apple refreshed its MacBook Pro lineup with Intel’s 8th gen processors and faster Touch ID. 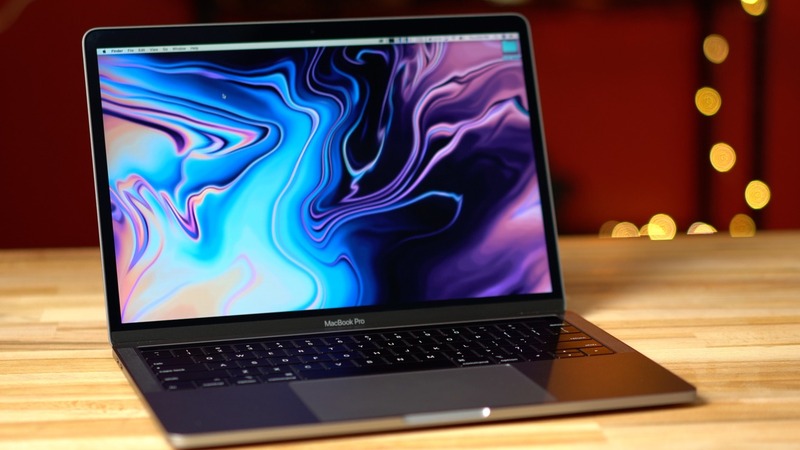 Despite those improvements, the 2018 MacBook Pro is seeing a slow sales performance. However, it is still a better choice for those who are in the market for a high-end laptop. On the outside, the 2018 MacBook Pro looks almost identical to the 2017 model. This does not come as a surprise as Apple MacBook lineup has not seen an overhauled design for years. There is no change to the Retina display as it continues to sport a resolution of 2560×1600 pixels. 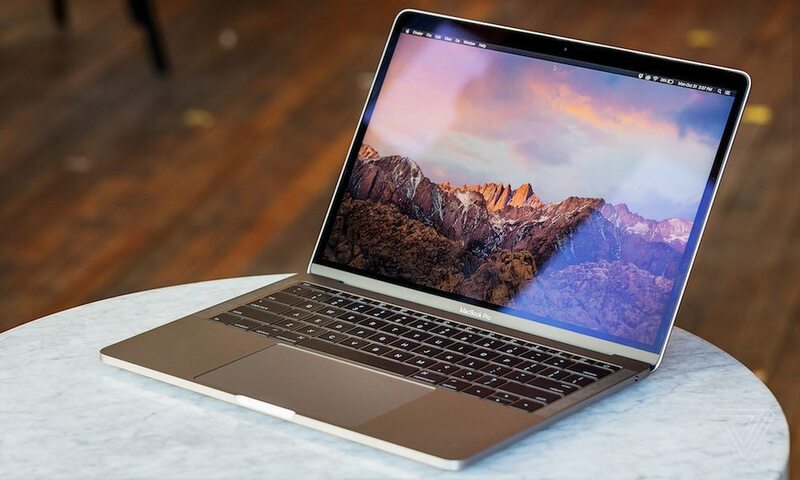 The new MacBook still offers an amazing experience ranging from watching videos to enjoying movies. There is one big addition to the display: True Tone technology. In reality, True Tone is not new when it comes to Apple devices as it has been part of the iPad Pro lineup for more than a year. As the name implies, True Tone automatically adjusts the colors on the screen to match with the lighting around you. Under the hood, the new model features Intel’s Coffee Lake processor, one of the most powerful CPUs on the market. Everything runs smoothly on the new MacBook Pro. Besides, the model has a better GPU (an Iris Plus 655). However, Apple continues to offer up to 4 thunderbolts 3 ports on the 13-inch MacBook Pro. If you are going for some kind of older hardware, then you need to buy a new cable. Touch Bar gets a slight improvement so it is now faster and more accurate. Touch Bar was first added to the MacBook Pro lineup in 2016 and replaced the function keys at the top of the keyboard. Basically, Touch Bar offers relevant controls based on what apps you are using on your Mac. However, Touch Bar is not everyone’s favorite. In reality, we have heard some of the issues MacBook owners are facing with Apple’s mini touchscreen like crashing or unresponsiveness. Apple has been improving Touch Bar since day one and it now works perfectly. When it comes to pricing, the MacBook Pro 2018 13-inch now costs $1,799.00 for the model with 8th gen processor, 8GB of RAM, and 256GB SSD storage. These are the best bits of the XPS 13 and 2018 MacBook Pro. Don’t forget to share with us your thoughts on which one is right for you in the comments below.